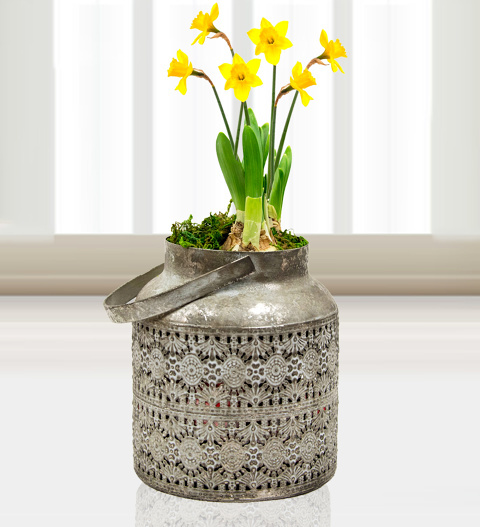 Our team wanted to give this potted Tete a Tete something different and extra special. Which is why we chose an Indian Planter! Send this fabulous floral gift for Mum! Make her feel extra special and appreciated this Mother&apos;s Day. Free box of chocolates included - we won&apos;t tell her they were free! Chocolates may contain nuts.